BRISTOL - Bristol Hospital recently completed a major construction project to its infrastructure that is expected to save the hospital money and reduce its carbon footprint. 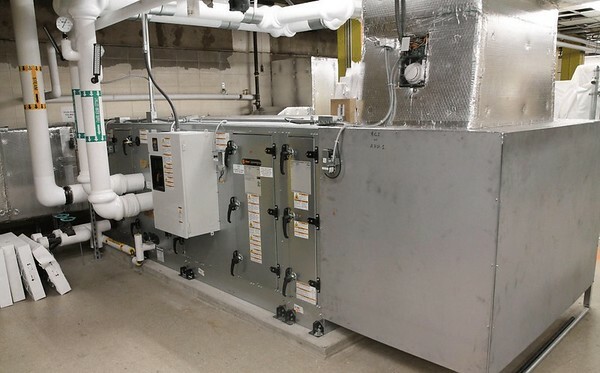 The $3.9 million project lasted nine months and included new air handlers for the hospital, water conservation measures, including low flowing water in sterilizers and the kitchen, LED lighting, building envelope upgrades, an energy management system, power factor correction and steam trap replacements. The upgrades are expected to save the hospital $455,000 a year. 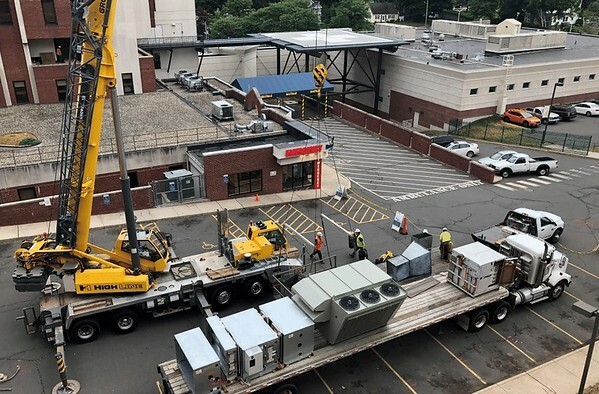 According to hospital officials, the green renovations will save 1.7 million kilowatt hours of electricity and 3.1 million gallons of water a year, reducing the utility costs for Bristol Hospital by 20 percent. As part of the project, Bristol Hospital partnered with Trane, a world leader in air conditioning systems. 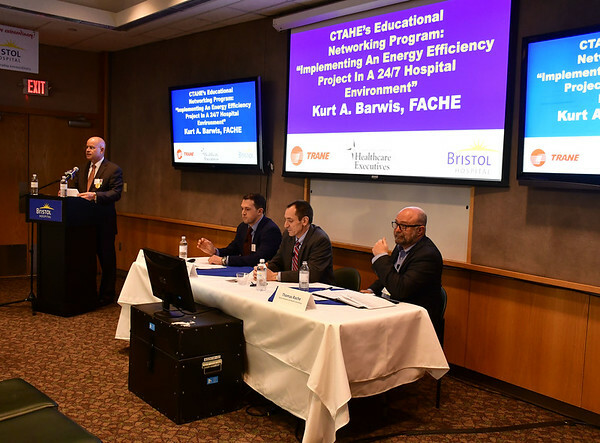 The 12-year agreement allows for Trane to oversee the energy and cost savings anticipated for the hospital to make sure the upgrades meet or exceed those expectations. Officials laid out the details of the upgrade project during a presentation Thursday evening at the hospital. Kurt Barwis, president and CEO of Bristol Hospital, said the old air handlers that the facility used - which were about 50 years old - used an archaic system of pulleys, wheels and belts that rattled and vibrated so much it felt like the belts would come off at any moment. Had the air handlers gone down, particularly on a hot summer day, Barwis said the hospital’s patients would have been without air conditioning, creating terrible conditions. 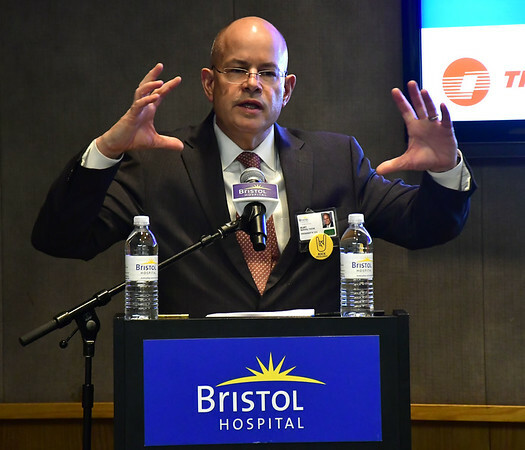 Matt Menard, a senior accounting executive at Trane, commented further on the hospital’s old air handlers, saying they “looked like they were going to explode at any minute.” He said Trane took a holistic approach to planning the upgrades to the hospital, noting that the water that will be saved will benefit Bristol greatly. 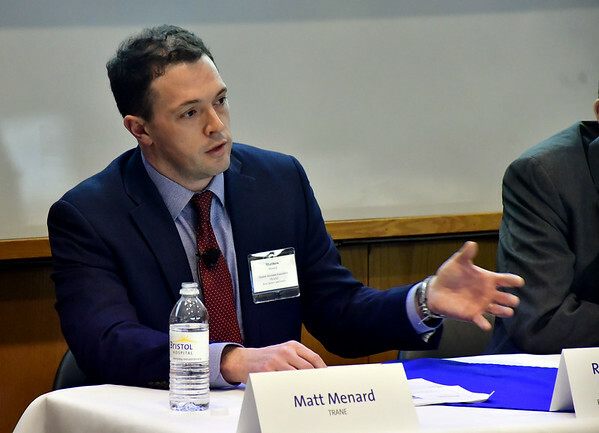 “The Bristol water supply tends to go into drought conditions at certain times of the year,” Menard said. Menard also said the upgrades will provide better conditions for patients. Posted in The Bristol Press, Bristol, General News on Thursday, 7 February 2019 20:10. Updated: Thursday, 7 February 2019 20:13.